New Single "Nasty" out now on iTunes! 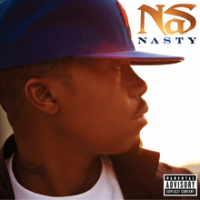 Nas' new single "Nasty" from the upcoming album Life Is Good is available now on iTunes! Check out this video of Nas and Damian "Jr. Gong" Marley LIVE at Lollapalooza 2011! Last weekend, Drake held the second annual OVO Fest in Toronto where he brought out J. Cole and hip-hop legend Nas on stage to perform. Drizzy and Cole performed the female-fan favorite “In the Morning,” replacing J. Cole’s last verse with Drake’s harmonizing vocals. Afterwards, Drake told the audience, “I’ma tell you something, if you ain’t know, it’s our time me and this guy right here… Everytime we get on stage together, I feel like we’re giving people an opportunity to look at two future legends.” Both artists have a huge buzz building for their upcoming releases – Drake’s sophomore album Take Care, scheduled to be released on Oct. 24, and J. Cole’s debut album Cole World: The Sideline Story, scheduled to be released on Sept. 27. 'It's crazy how a phrase like that can change somebody's mentality,' Esco says about album title's good vibes. Nas is living the good life. After the Queensbridge MC revealed the title of his 10th studio album over the weekend, he caught up with DJ Envy of MTV's Sucker Free and dropped more details about Life Is Good.